Imagine yourself on a vast beach that’s covered in tiny pebbles, and you must find the most perfect one to give to someone who’s to be your lifelong partner. You search for hours, days, sifting through piles of stone, ocean-polished and smooth – not because you have to, but because of the desire to connect with someone. Then you see it, as if it presented itself for you out of all the other pebbles on the beach. It’s flawless. And when you give it away, you’re not thinking about the time it took to find it, or how much it cost. Giving someone a pebble is an act of compassion and a symbol of companionship. 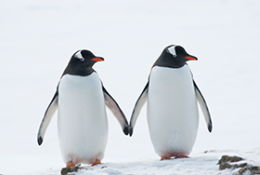 This is how male Gentoo penguins find their mate. A romantic notion, no doubt, and not dissimilar from how we experience life – giving an engagement ring, having the perfect wedding, and going on the honeymoon you’ve always dreamed of. These are our pebb les and we search high and low for the perfect one to give because it is worth much more than the time and money spent finding it. Unlike pebbles on a beach, diamonds, weddings and honeymoons cost much more, but that shouldn’t keep you from owning those experiences because those are priceless. It’s a common misconception that an engagement ring should cost 2-3 months’ worth of someone’s salary. This is not entirely true, nor is it entirely false. The number comes from a pre-Depression era advertisement, when spending that much may have been a little more reasonable. How much you spend is entirely up to you, but no matter the cost, it’s always worth it when you’re placing a ring on someone’s finger. A diamond ring may not be that much money, but it’s still a lot, and unless you saved the cash, you may come up a little short. This is why engagement ring financing exists – so, much like the polished pebble on the beach, when you find the perfect diamond and setting, you can present it to the one you love without the ring being cost prohibitive. Payment terms from 36 to 84 months so that you can calculate and choose a term that best fits your budget. Interest rates are as low as 6.99%2, which could potentially be lower than what many jewelers offer, and it could save you money over the life of the loan. Fixed monthly payments that don’t change – so you never have to worry about an introductory offer rate expiring. Personal loan amounts up to $35,000, which should cover the cost of even the most elaborate engagement rings. If your application, which can be easily filled out online, is approved, then you can get the funds sent to you the next business day after you accept. Finding an engagement ring is not an easy task. Like the Gentoo penguins, it requires time and patience, and in our case, it often requires a little financial assistance, especially if the perfect ring jumps out at you. You’ll be worried enough as it is when you pop the question, so let us worry about the money. It’s the big day and there’s so much to think about. Perfect hair, perfect makeup, the dress, the suit. Did you remember your bouquet, the wedding bands, the flower girl? There’s so much to consider, but no one thinks about the cost of a wedding while walking down the aisle. Much like the perfect pebble and the perfect ring, the perfect wedding costs money, and quite a bit. Surveys from wedding experts at The Knot indicate that the average wedding cost in the U.S. is over $30,0003, but that shouldn’t keep you from having the wedding you always wanted. Yes, weddings can be expensive, costing well beyond what most people have saved or will receive in gifts, and yes, you should have a wedding budget, but a wedding isn’t all about dollars and cents. It’s much more than that. A wedding is an experience, not just for the betrothed, but for everyone in attendance. And it’s the experience that is beyond value. You can request the exact amount you need to match your wedding budget, up to $35,000. You know exactly how much your payments will be each month, which are affordable. You know when your wedding loan will be fully paid off with a flexible term you choose. Most importantly, you can alleviate the uncertainty and stress of planning, and paying for, your wedding. 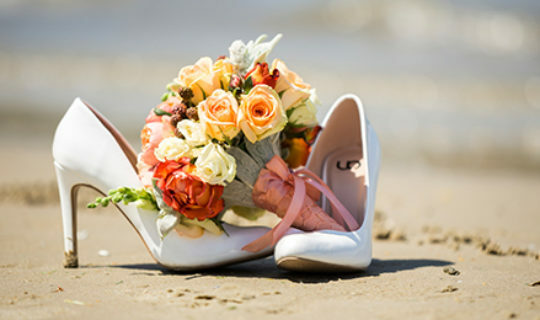 Getting married is seldom a cheap proposition, which is why a wedding loan is a perfect fit. When you add up everything, consider how a personal loan can help with some of the big-ticket items that make your wedding so special: the perfect dress, the reception gathering of all your friends and family, the romantic honeymoon. In the end, though, a wedding is about simplicity beyond measure, the gesture of two companions saying “I do”. You can get a vacation loan from as low as 2,500 up to $35,000. Use the funds for anything travel-related like airfare and accommodations. Vacation loans can save you money when compared to a higher-interest rate of credit cards. Life is full of perfect pebbles to be given, whether in the form of an engagement ring, a wedding celebration or a dream honeymoon. Worrying about how to pay for them is unavoidable, but equipped with the right knowledge about your financing options, a personal loan can help to relieve the stress and allow you to fully experience life as it comes.